DW Motel is a budget accommodation of 20 rooms located in Koror, Palau. This South Pacific dive lodging was recently renovated in July 2013, with many added features for guest comfort. A shared kitchen and dining room make it easy to prepare your own meals, relax with your own group, or meet fellow travelers. View our rooms and reserve your room today! DW Motel is one of the best known budget accommodations in Palau for almost 25 years. 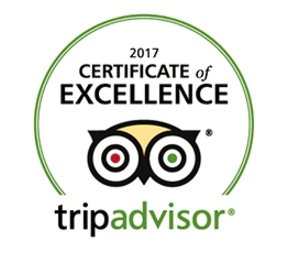 We're proud recipients of TripAdvisor's Certificate of Excellence for 2017. A total renovation was completed in July 2013 and the current management team reopened the lodging in August 2013. *Currently 1 room (in 3F) has difficulty connecting to hotspot due to ongoing maintenance. Please contact us for details. * Please note that prior arrangement with DW Motel is necessary. Charge may vary according to arranged transfer services. One way USD20-25 per person. Round-trip USD35-40 per person. Charge applies to children over 6 years old. This is a notice to guests arriving via night / mid-night / early-morning flight. Our check-in time is after 2:00 PM. Please make a full-day reservation from your arriving day (from one day prior, for arrivals past midnight - early morning), if you'd wish to check-in upon arrival. We welcome our guests to wait in the hotel lobby until check-in time, however, our service and security will be limited due to off-hours.